Dr Reed is the best! His quiet voice, gentleness, bedside manner is outstanding. He explains everything. He is graciouswith his listening skills and answering your questions. Dr Reed is the best! His quiet voice, gentleness, bedside manner is outstanding. He explains everything. He is gracious with his listening skills and answering your questions. Like most individuals, the dentist is a dreaded experience for me. I am so happy that I have finally found adentist and staff that treats me with the utmost respect, kindness and is always striving to make me comfortable. Additionally, I'd trust Dr. Reed with all my denstistry decisions. If you spend ten minutes talking to him it is clear that he is a top expert within the field. My appointment was quick -- and for a filling replacement almost painless. Almost being the keyword! I was back to work within the hour. The hours for scheduling are also flexible -- something that is lacking with most dentist offices. Like most individuals, the dentist is a dreaded experience for me. I am so happy that I have finally found a dentist and staff that treats me with the utmost respect,kindness and is always striving to make me comfortable. Additionally, I'd trust Dr. Reed with all my denstistry decisions. If you spend ten minutes talking to him it is clear that he is a top expert within the field. My appointment was quick -- and for a filling replacement almost painless. Almost being the keyword! I was back to work within the hour. The hours for scheduling are also flexible -- something that is lacking with most dentist offices. * Please expect to be contacted via phone or email by this practice, and reply to confirm your appointment. 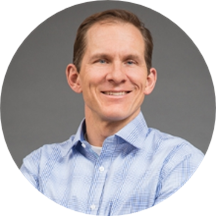 * A 1995 graduate of Northwestern University Dental School, Dr. Reed relocated to Denver with his family in 1998 and has been a partner in City Center Dental Group since 2000. When not busy treating patients and managing the practice, Dr. Reed spends most of his time coaching youth soccer, skiing, and enjoying quality time with his wife and three children. Great! But I met with Dr. Pierson. I would highly recommend!! It was informative and very friendly.